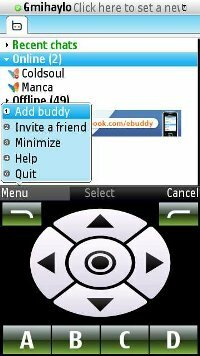 eBuddy is a free mobile messenger for Symbian s60 3rd and 5th edition devices. 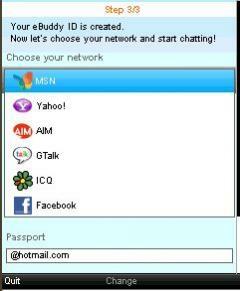 With eBuddy, you can stay in touch with all your friends on MSN, Yahoo, Facebook, Gtalk, AIM and ICQ! You can chat with all your friends, everywhere. You have friends on both MSN and Yahoo? 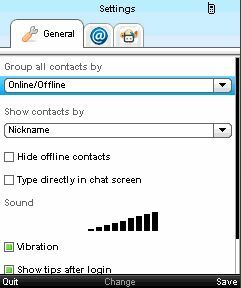 Or you have two MSN accounts? No problem! 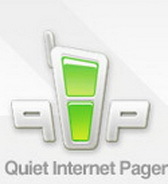 Now you can chat with them all from your mobile. 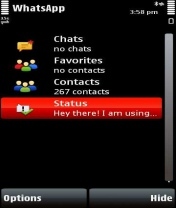 With eBuddy Mobile Messenger you can have all your buddies from multiple IM accounts in one single list! this is d best chat office. Am not able to download it on my nokia E5..have try hard it does'nt work. 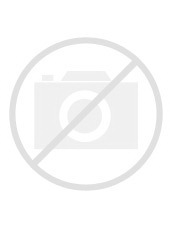 jar file is not working in my mobile.